Fibromyalgia (FM) is a chronic illness, which causes immense physical pain and unbearable fatigue. The word ‘fibromyalgia’ actually means “pain in the fibrous tissues in the body” and as such does not involve the joints, as rheumatoid arthritis and osteoarthritis. It is not classified as a disease as it is a condition that causes many different symptoms, which affect all systems in the body. 90% of those affected are female (especially during child bearing ages) with most patients experiencing symptoms between the ages of twenty and forty. Children and the elderly can also be affected by FM. So if you are suffering from fibromyalgia syndrome, you may be interested in trying a treatment that is associated with few side effects and positive results. Light therapy has been used for centuries in some countries to help cure chronic and acute pain. It is now available throughout North America to help reduce your fibromyalgia symptoms. Light therapy is an alternative therapy used to help relieve a variety of physical illnesses, ranging from chronic pain to depression. Also known as phototherapy, light therapy delivers light beams to various areas of the body¬†in order to trigger hormone release and healing. Practiced by physicians, physical therapists, and psychologists, light therapy uses bright, colored, and low-level forms of light to promote wellbeing. 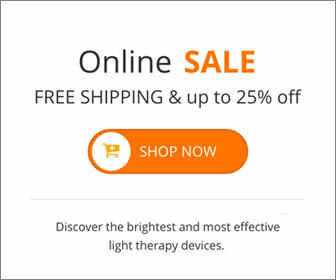 Bright light therapy is the most commonly used form of light therapy. It is based on the idea that your body is specifically attuned to light. Known as the circadian rhythm, your body‚Äôs sleep cycle, energy levels, and mood are all governed by changes in natural light. Bright light therapy uses high-powered fluorescent lights to help trigger the release of specific hormones which will help to restore your body‚Äôs natural circadian rhythm and your overall health. Who Shouldn‚Äôt Use Light Therapy? Light therapy isn‚Äôt for everybody. Be sure to speak with your health care provider before trying any form of light therapy for fibromyalgia. This entry was posted on Monday, August 2nd, 2010 at 11:35 am	and is filed under Light Therapy. You can follow any responses to this entry through the RSS 2.0 feed.